Someone asked me today if I'm doing anything Thanksgiving related on the blog this week. Oh yeah. Thanksgiving. One of the biggest food holidays of the year. And I'm a food blogger. Yeah.... I should probably do something. I'll admit, due to my recent London vacation, I did kind of drop the ball on the blog this year with regards to turkey day. Last year was great because my family and I celebrated a week early, which allowed me to test out a new turkey cooking method and create some brie mashed potatoes. But... not to fear. I still have a delicious (and awesome) addition to your Thanksgiving celebrations. Who doesn't love boozy jelly shots at family gatherings?!? 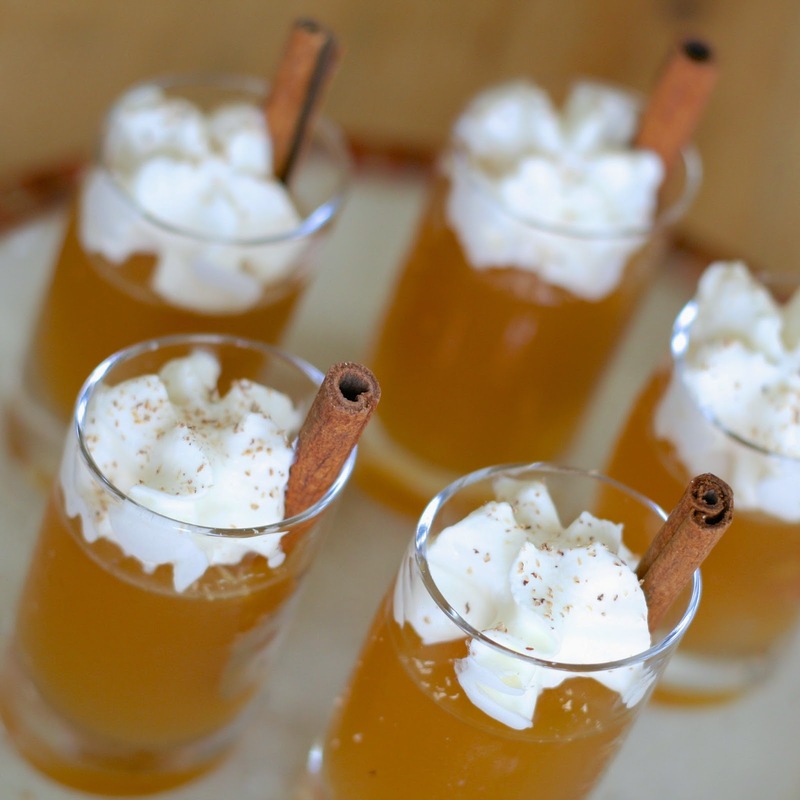 These ones simply use apple cider and caramel vodka to create one of my favorite creations yet. To get the recipe, head over to Tablespoon. Happy Thanksgiving everyone!